We have created these room renderings to help end users and integrators understand how easy it is to integrate our products in several different room styles. These profiles show the connectivity and coverage of our products. 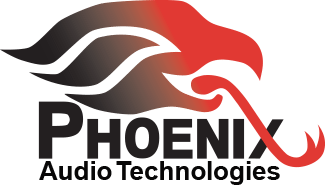 The MT700 – Stingray Distributed Array Mixer from Phoenix Audio Technologies is an all-in-one smart mixer that responds to rapidly evolving communication trends, conference environments, and connectivity technologies. Used on its own or in tandem with video, the MT700 – Stingray Mixer offers a simple solution to the complex requirements of today’s professional conferencing spaces. The Spider conference phones are recommended for use when you know you have either an analog phone system or a SIP phone service provider. While connecting to the video conferencing application it will connect directly through the USB drive of the laptop, PC or video system. The Smart Spider is recommended when you only need a speakerphone for your video conferencing application. When video conferencing or audio conferencing over a Smart Phone and Tablet devices connect to the smart device via the headphone jack. Our product is recognized by the smart device as a headphone/microphone and takes over the device’s audio (both mic and speaker). When video or audio conferencing over a laptop or PC connect our device through the USB connector.